Helps you achieve the increased accuracy of a match-grade barrel and bushing without the wait. 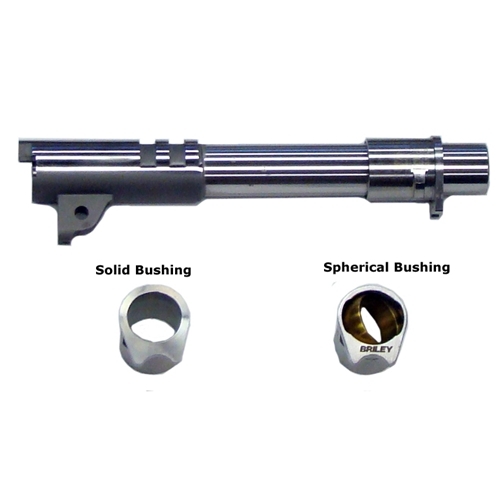 Fully-matched components are CNC machined. Hood and bottom lug are pre-cut to give a very close fit for most 1911 Auto pistols. This saves valuable time for any shooter. Only minor fitting is required for the hood and bottom lug is pre cut to lock up with a #3 (.278 inch) link and pin. Hood and bottom lug is oversized and requires fitting. Chambers are cut short and will require correct head spacing after fitting. Fitting instructions are supplied.